Have you been searching for a "flat tire repair near me"? If the answer is yes, you should consider contacting us for tire repair service and tire rotation service. Our certified technicians can inspect your car's tires thoroughly and quickly while helping you decide if you need any repairs or replacements. We understand that tire repair cost is always a factor to consider, which is why we strive to offer you a variety of discounts and tire rotation coupons. Speak to one of our professionals at our Pueblo, CO, and Meineke #1521 to learn more about our tire repair services. The quality of your tires is extremely important, especially during adverse weather conditions and at high speeds. If you neglect to have your tires inspected regularly, you may be taking a risk. A car's handling largely depends on the quality of its tires, and if yours are deflated or damaged, you may notice that your car does not steer and respond as well as usual. 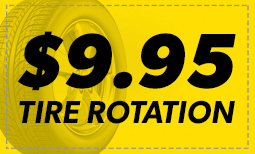 At Meineke, we offer unsurpassed tire change service and tire rotation service to all drivers. Contact your nearest location in Pueblo CO Meineke #1521 to learn more about keeping your tires functional. Uneven tread heights and issues with vehicle stability at high speeds could each be a sign that you're in need of a tire repair or tire change service. However, these signs are often easy to miss. Fortunately, you vehicle will often tell you when its tires need some TLC through your in-dash tire pressure light. If and when it turns on, you should immediately stop and see which of your tires is over or underinflated. If the sensor continues to illuminate even after adding air to the tire, taking it into Meineke #1521 in Pueblo, CO may help you avoid a high tire replacement cost. Be sure to check and see if you also need a tire pressure sensor replacement while you're there. Damaged tires and wheels are a potential hazard that can be completely avoided with proper maintenance. If you ignore tire pressure issues or put off your search for "tire repair near me," you are placing yourself, your vehicle's occupants and everyone you pass on the road in danger. Without properly maintained tires, your tires could explode while you are driving, causing you to lose control. Contact Meineke #1521 in Pueblo, CO for information on tire repair and tire pressure sensor replacement. If the tire pressure sensor light illuminates on your vehicle's dashboard, should that be an automatic sign that your tires need to be replaced? Not necessarily. Depending upon the current condition of your tires, a simple repair may be all that needs to extend their life and save you money. How are you to know? Finding out for yourself literally only takes a penny. Insert a penny into the tread of your tires, with President Lincoln's head facing downward. If any part of his head is hidden by the tread, your tires can still be used. If the dashboard light continues to go off, you may want to consider a tire pressure sensor replacement. 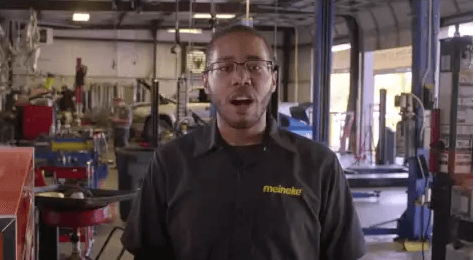 Any tire-related questions you may have can be answered by our friendly staff at Meineke #1521 in Pueblo, CO. Drivers can expect high-quality service from us, but we also understand that tire repair cost and tire replacement cost are important to consider as well. If you are experiencing issues with your steering and suspension, you may also be curious about our tire rotation cost. We realize that vehicle maintenance and repair can be expensive, which is why we strive to offer some of the most affordable prices in the industry to our customers. Your local store may also offer various coupons and discounts. Call our Pueblo, CO, Meineke #1521 store for additional information about our services.